Sagan’s new bike is equipped with Shimano Dura-Ace Di2 groupset and Roval wheels. On the top tube, near the junction point with the seat post, his name, the flag of Slovakia and the colors of his rainbow jersey, which he will continue to wear next year, printed. 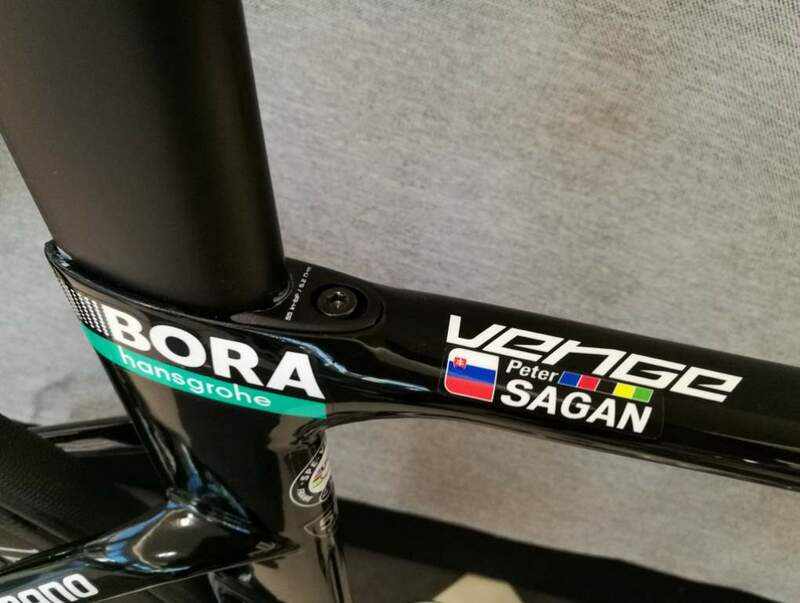 Sagan will be racing for Bora-Hansgrohe in the 2017 season. The Slovakian rider has signed a three-year deal with the German team, after the folding of his previous team (Tinkoff). The photos below were taken during Bora-Hansgrohe team conference. Peter Sagan’s Specialized S-Works Venge 2017. 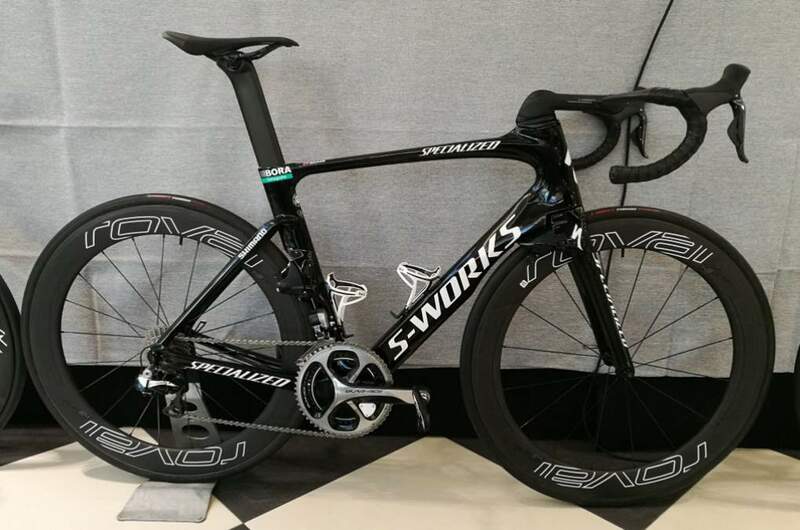 Peter Sagan’s Specialized S-Works Venge 2017 (details). The flag of Slovakia, his name, and the colors of the UCI World Champion’s rainbow jersey.